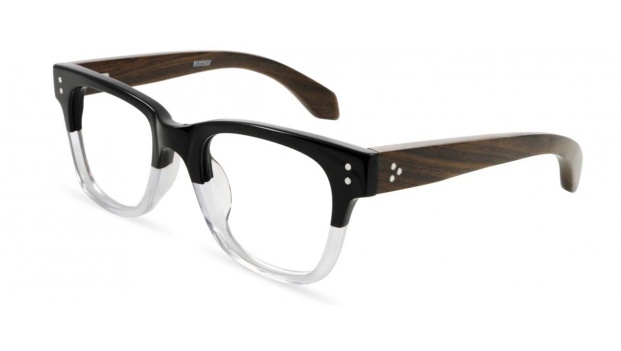 Classic style glasses frame with wooden arms. Available in 5 colours. 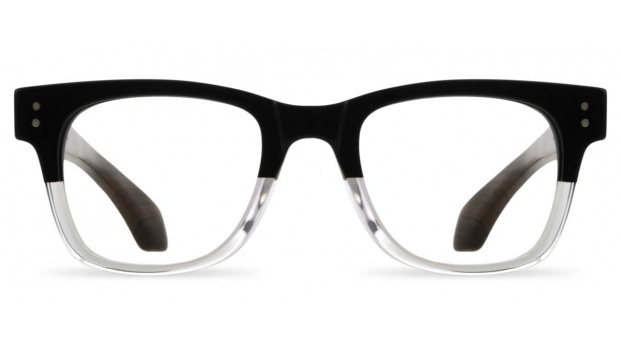 Shown here in Black on Crystal acetate front with real wood temples.